Our cozy boarding area is frequently drenched in the morning sun, and small birds often visit the surrounding courtyard. 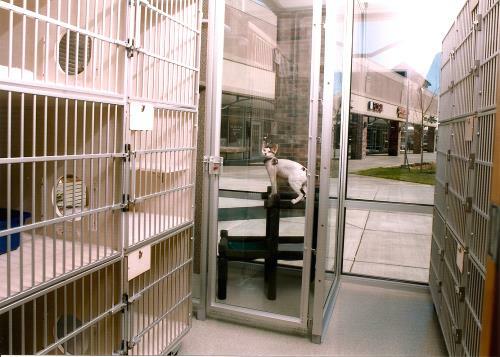 Each guest's condo has a perching shelf, soft comfy bedding and a pass-through to a separate litterbox area. 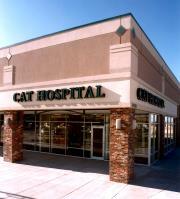 We also offer 2-level units so multiple cats from the same household can be together. A separate play area has a climbing post with perches and great sun exposure. We monitor each guest closely, recording their daily appetite, activities and eliminations. Many of our guests require medication, and we keep them on the same schedule they are used to at home. Diabetic guests are monitored with extra care to ensure they remain stable. 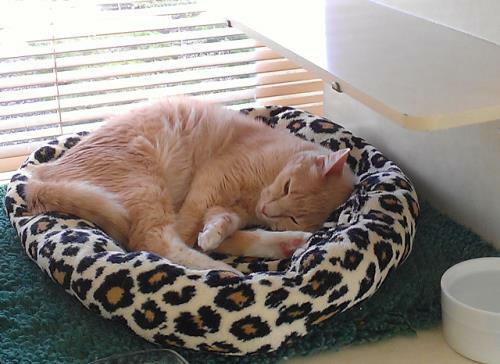 While we provide thick fleeces and soft beds, you are welcome to bring your cat's own bedding. We encourage you to bring their own food to help avoid any digestive upset, but we also carry most of the therapeutic diets if needed.